America is founded on the principle of freedom, justice, and liberty for all. Our nation's soldiers protect our country and its ideals. We honor the men and women of the armed forces who have kept our country safe. Take a moment to remember their sacrifice and make a donation to a charity that serves them. Is your group in need of volunteers? Are you an individual looking for a way to give back to your community? Poker Cares is a network of poker and fundraising experts who care to make a difference in the community.Find out how you can organize a charity poker tournament. Right now someone is saying something on social media that might make or break your brand. Do you know what it is? Thousands of press releases hit the inboxes of difference-makers every day. How can you stand out from the crowd? At the Gary Sinise Foundation, they serve our nation by honoring our defenders, veterans, first responders, their families, and those in need. They do this by creating and supporting unique programs designed to entertain, educate, inspire, strengthen, and build communities. The Mission of the Stephen Siller Tunnel to Towers Foundation is to honor the sacrifice of firefighter Stephen Siller, who laid down his life to save others on September 11, 2001. They also honor our military and first responders who continue to make the supreme sacrifice of life and limb for our country. Stephen's life and heroic death serve as a reminder to us all to live life to the fullest and to spend our time here on earth doing good – this is his legacy. Read about the amazing work the foundation has funded and get involved NOW! Deliver Your Message To The World's Largest Viewing Community! Does your organization have a compelling story to tell? Do you want to connect with your supporters, volunteers and donors, but don't have the budget for expensive outreach campaigns? YouTube can help! Video is a powerful way to share your organization's message, and with a dedicated "Nonprofit" channel on YouTube, you will be able to get the word out to the world's largest online video community. If you are a nonprofit 501(c)(3) organization in the United States, apply today for the YouTube Nonprofit Program! NTEN aspires to a world where all nonprofit organizations use technology skillfully and confidently to meet community needs and fulfill their missions. They are the membership organization of nonprofit technology professionals. Their members share the common goal of helping nonprofits use all aspects of technology more effectively. They believe that technology allows nonprofits to work with greater social impact. They enable their members to strategically use technology to make the world a better, just, and equitable place. NTEN facilitates the exchange of knowledge and information within their community. They connect their members to each other, provide professional development opportunities, educate the constituency on issues of technology use in nonprofits, and spearhead groundbreaking research, advocacy, and education on technology issues affecting the entire community. Looking for amazing fundraising ideas to help you reach your goals? Consider JustFundraising.com's line-up of easy and profitable fundraisers. Sell the most scrumptious cookie dough in fundraising! Our NEW $10 cookie dough is the lowest priced cookie dough fundraiser. Available in both tubs and boxes. Our $1 and $2 candy bars are made from premium chocolate and made in a peanut-free facility. 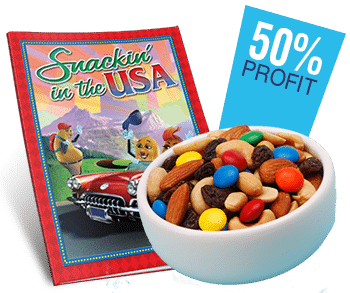 They are super easy to sell, and will earn your group a sweet profit! Get 20% FREE on Scratch Cards! This is a slam dunk fundraiser for any motivated team. 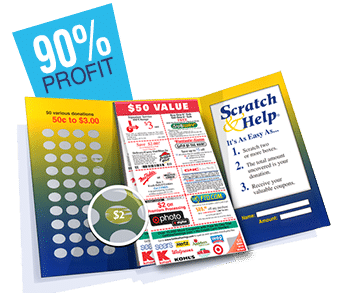 Receive a whopping 90% profit! Your donors simply scratch to reveal their donation and then receive over $50 in exclusive coupon savings in return. 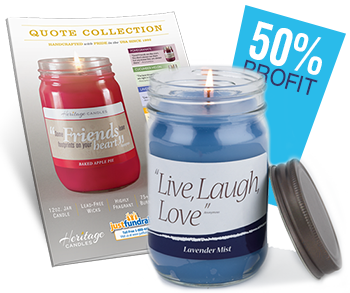 Our scented candle collections are made in the USA, have 75+ hours of burn time, and are labeled with inspirational quotes and gift-boxed. 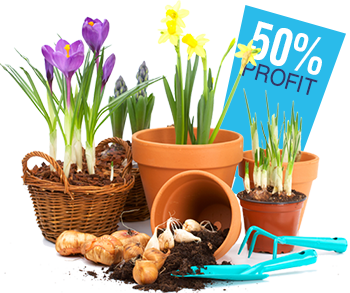 Sell Flower Bulbs - beautify your community and grow your profit with our Fall and Spring programs. Includes flower bulbs, plants, seeds, flower mats and hanging gardens. 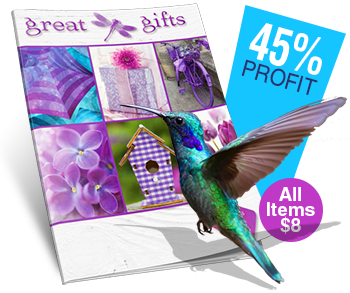 Amazing array of gifts, snacks, gardening tools, and kitchen items plus much more. A choice of 88 items all priced at only $8! Guaranteed to interest your supporters.